WHEN it comes to being entrepreneurial, Erik Eilertsen is proving age is no barrier. 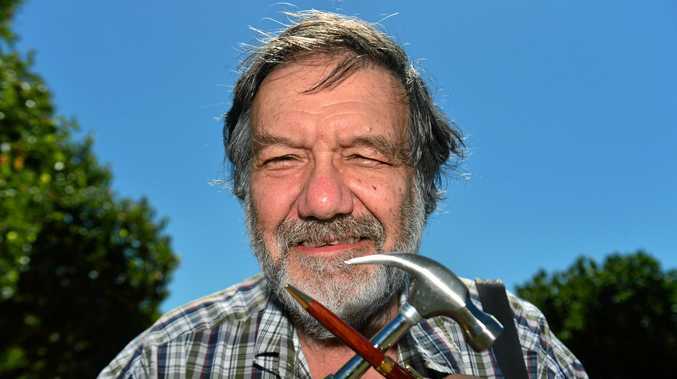 The 72-year-old runs his own business, Eric the Ready, a 'fix it' services specialising in words and electronics. "I have many years' experience in two-way radio which has equipped me with skills to repair things like speakers and other electronic things," he said. "I worked for a proofreading business for a while after that and developed a great interesting in that field, so I decided to add that to my business." The Palmwoods resident said he had started looking for full-time employment a few years ago but thought his aged turned potential employers off. "I'd send my CV to people, but I feel like they would look at the date of birth and nothing else," he said. So he decided to invest his time into growing Erik the Ready. As an emigrant, Mr Eilertsen said he doesn't receive any benefits and lives off a small private pension, so his business is how he supports himself. In the past few years he has worked hard to grow the business and said other than providing income it gives him something to do that he is passionate about. "I love English and language and I thoroughly enjoy proof reading and copy writing," he said. "And I've always fixed things since I was just a kid, so it's not a bad thing to get to do with my time and I really hope I can get more interest and business in the future. "There are no plans to slow down just yet, that's for sure."